“ A famous archaeologist, last rumored to be in search of a hidden Maya city in Guatemala, has gone missing. Her daughter. Serena, worried and overcome by strange visions, abandons everything to search for her mother and the answers to the apparitions that have begun to haunt her. I really had a lot of fun writing this novel, and I think it was a nice change from Mind Trace. This one is more of a fantasy/adventure, as opposed to science fiction, so if you’re one of those that aren’t into the “techy” novels, this one may be easier to get into. 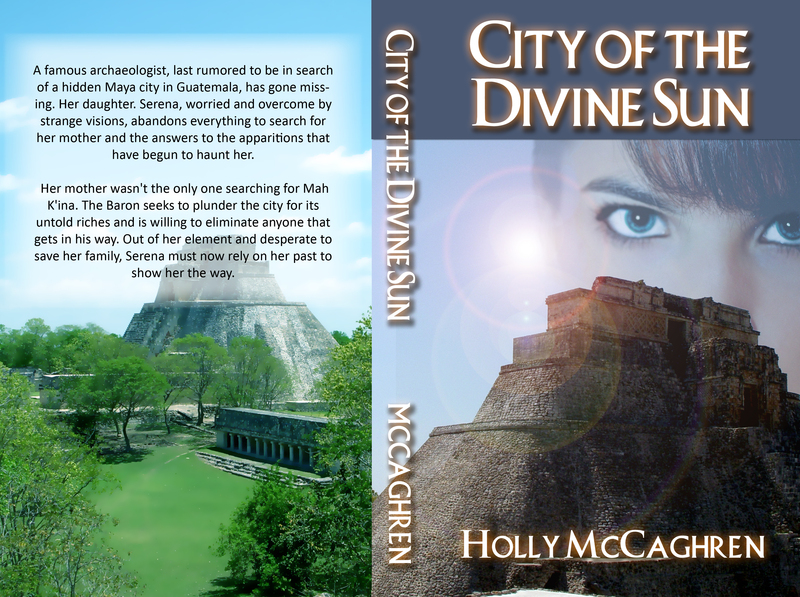 City of the Divine Sun should be released on Amazon and Kindle within the next few weeks/month, just as soon as I approve the proof and make sure there are no other things that need changing. Keep posted! There will be a giveaway as soon as it’s published! I also plan on featuring Mind Trace in another “free giveaway” on Kindle when that happens, to help get the word out there! If you haven’t had a chance to read it, please pick up a copy for your Kindle during the promotion! Dates to be posted soon. There is now an author page on Facebook for me, so all general updates will be posted there, including info on books not yet published. Subscribe for the latest news!